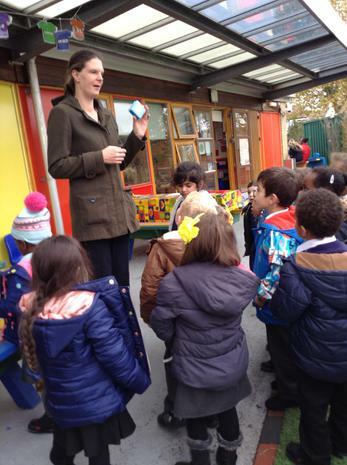 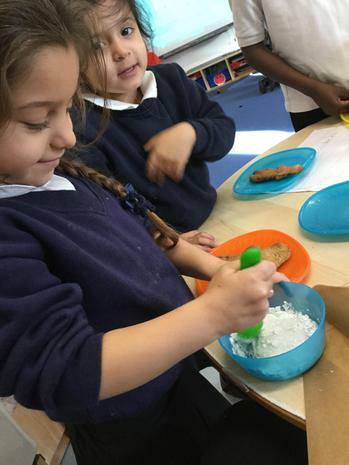 By the end of Reception, we aim to be able to listen and understand to stories and conversations, asking ‘why’ and ‘how’ questions and guessing what might happen next. 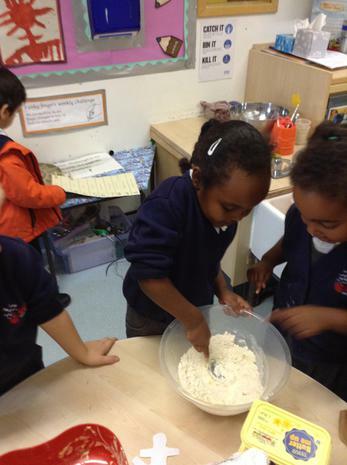 We can also listen even if we are engaged in an activity. 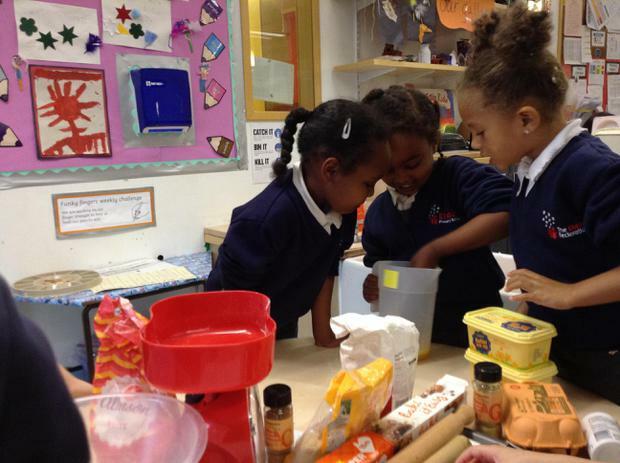 We can follow complex instructions tell our own stories, explaining things that have happened in the past or might happen in the future. 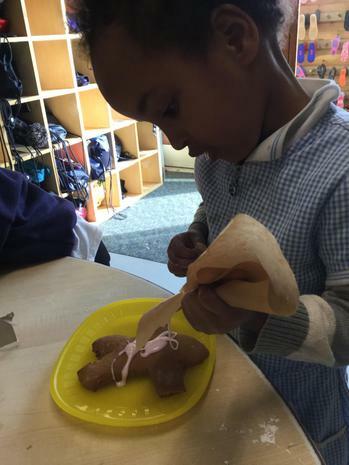 In reception we have been reading the story of The Gingerbread Man, about a naughty biscuit who comes to life and runs away. 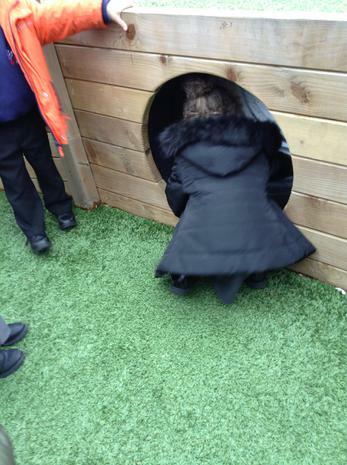 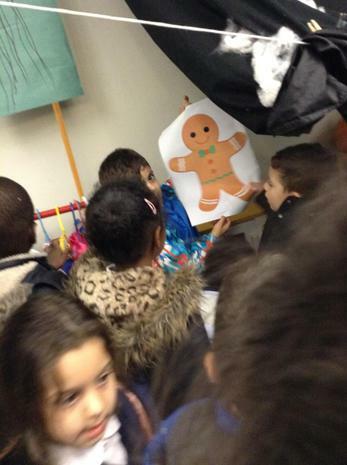 We read and acted out the story, made story maps, and even did a Gingerbread Man hunt, following the clues to find him in our outdoor play area. 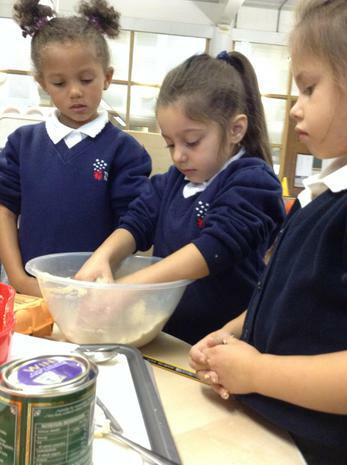 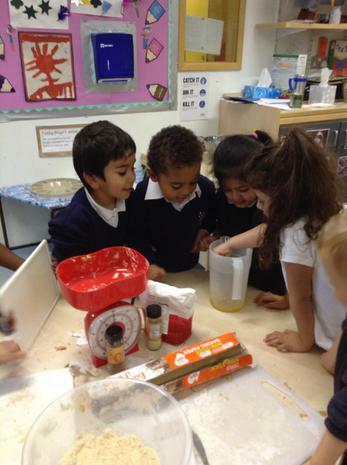 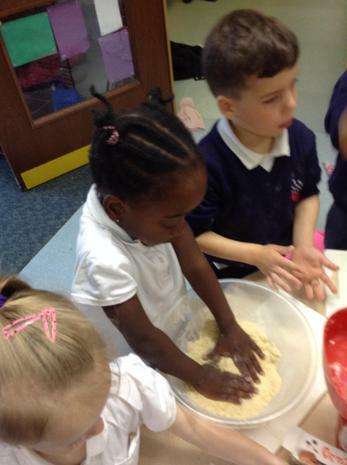 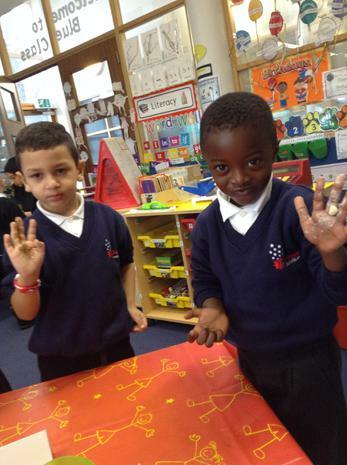 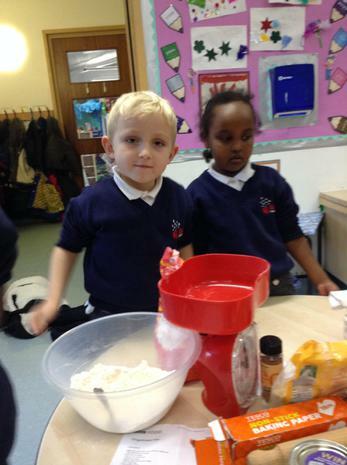 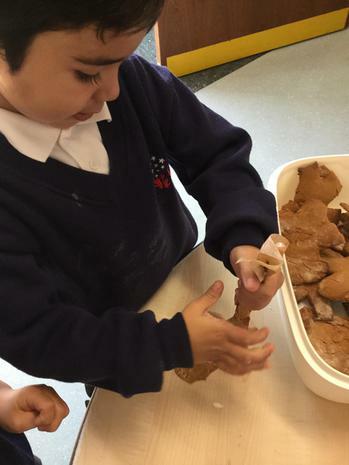 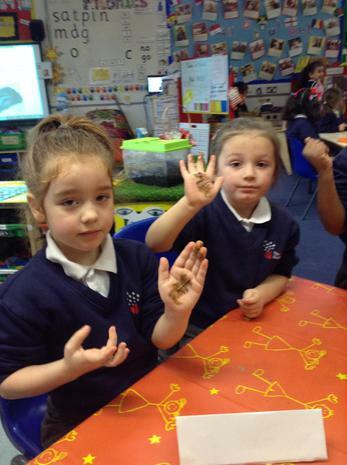 We baked our own gingerbread men, weighing the ingredients and mixing them into a dough. 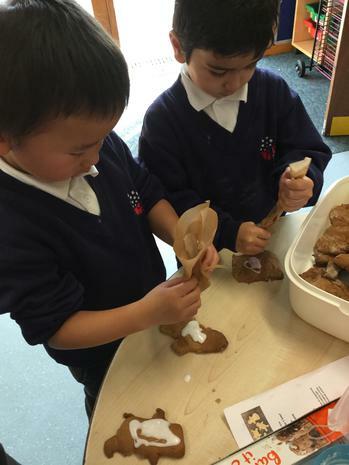 We baked them in the hot oven, and then decorated them with icing. 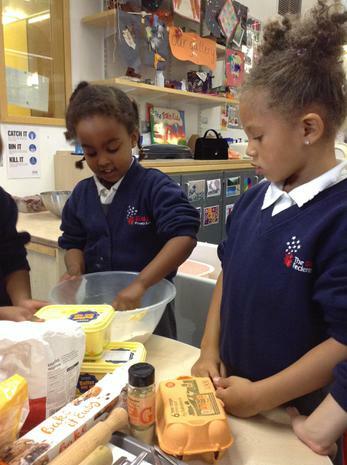 School Council met this week to discuss lunch times and lunches. 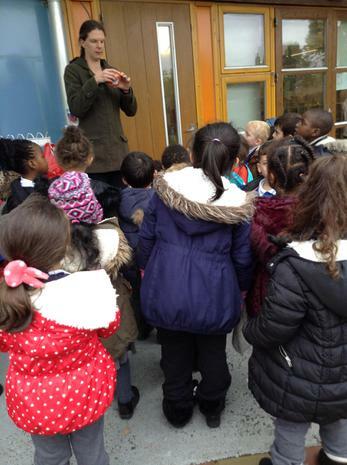 The school council reps came to meet Miss Williams, and stood in front of all their peers to communicate their class’ ideas and opinions about lunch at school. 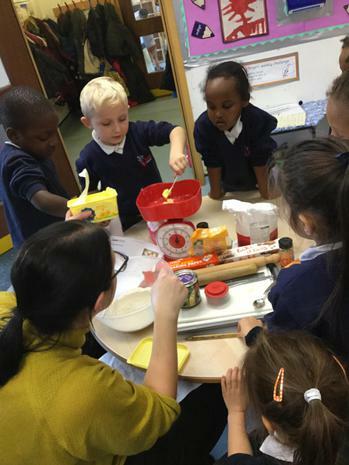 Well done school council!